May I Show You Some May Flowers? Garden bloggers are some of the nicest and most fun people there are. Ask me how I know! Photos by me...captions by Cheesy. 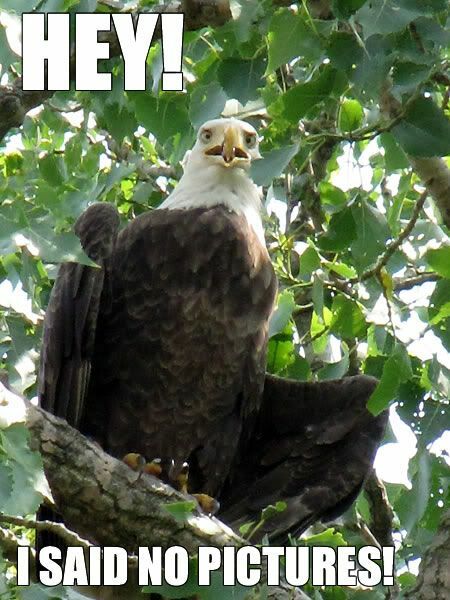 Photos of bald eagle taken at one of two known eagles' nests in nearby Defiance County, OH on May 24, 2009. My new favorite hotel is Residence Inn. When we arrived at the Westlake location at the end of the first day of our Cleveland trip, they were in the middle of Social Hour. Cheeses and crackers, fresh veggies and dip, two kinds of tortilla chips with guacamole and spinach dips, cookies and brownies, with beer, wine and soft drinks - all free. Wii Tennis was offered in the lobby. Shortly after we got to our room, we received a phone call from the front desk, asking if we needed anything. Our room was like a little apartment, complete with a full galley-style kitchen with granite counters, a sitting area with a fireplace and very comfortable queen-sized beds. In the morning, a full hot buffet breakfast was included. All for about $118, including taxes! Divide it by four and you have one fabulous stay on the cheap. Oh, and Crocker Park is five minutes away ― shopping! 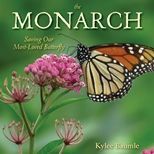 We packed our purchases in the car and moved on down the road to Elmore, home of the fabulous Schedel Arboretum and Gardens. Mom and I had been there before, but Patty and Carol (the other two in our group) had not. It had been about a year and a half since Mom and I last visited and it was in the fall, so things looked markedly different here in the middle of May. 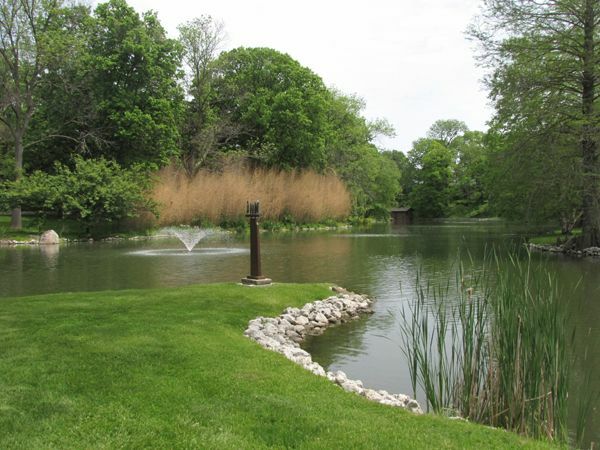 Schedel Arboretum and Gardens are truly an Ohio treasure. 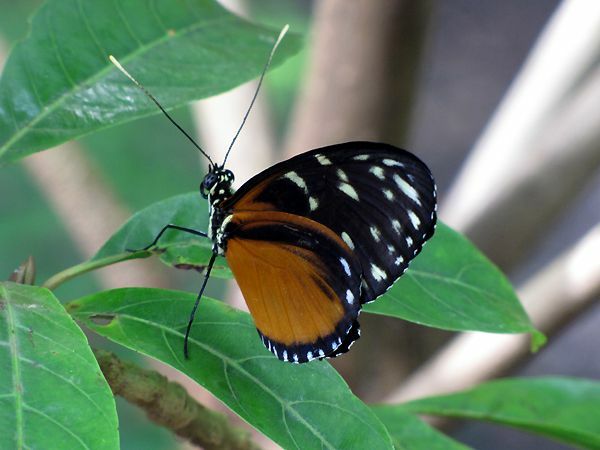 Not many people that I speak with have heard of them, even though they aren't all that far away and I never fail to impress upon them that they really must make a special effort to visit the gardens. When we entered the beautiful new visitor's center, we got to meet the personable Events Coordinator of the gardens, Veronica Sheets. Veronica and I had exchanged e-mails after I first blogged about our previous visit, but we'd never met in person. She showed us around the visitor's center a little bit, pointing out the art exhibit. 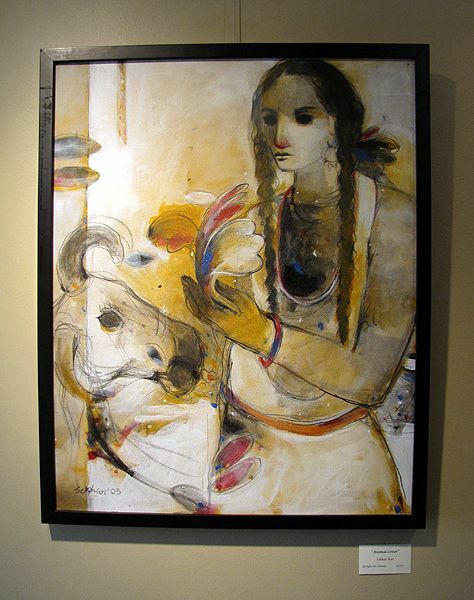 Fine art and sculpture are an important part of Schedel's displays. We began our tour at the top of the steps leading down into the plateau beside a bend in the Portage River. This unique terrain allows Schedel to be home to some species of plants and trees that might not otherwise survive typical zone 5 conditions. Being this early in the season, the annuals were not all planted yet and most of them were small. A return visit in a month or two will make a big difference. But the perennials were already putting on a show, if not with their flowers, then with their foliage. 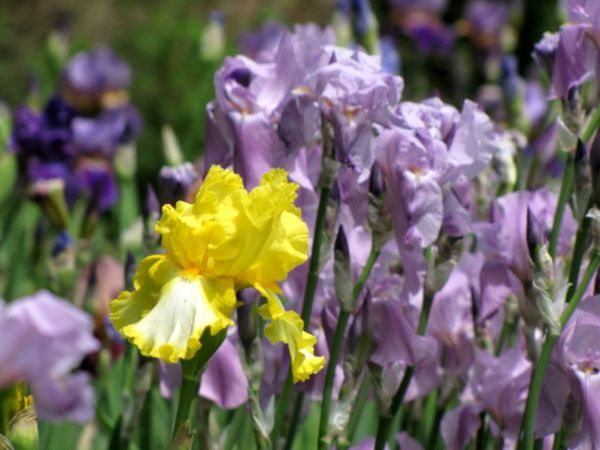 A lone yellow iris holds court among the lavenders. 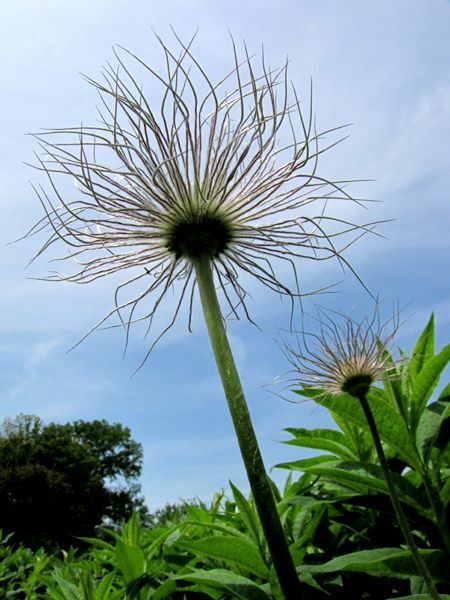 The Pasque Flowers (Pulsatilla vulgaris) were finished with their blooms and were gracing the landscape with their unique and feathery seed heads. 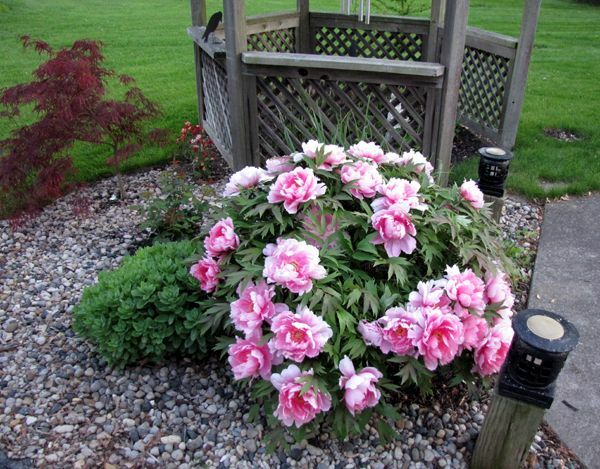 Many of the peonies were in bloom, and Schedel has some that are their own unnamed hybrids. The bees in this white single were collecting pollen in a way that reminded me of a pinwheel. This one seemed to know right where the good stuff was. 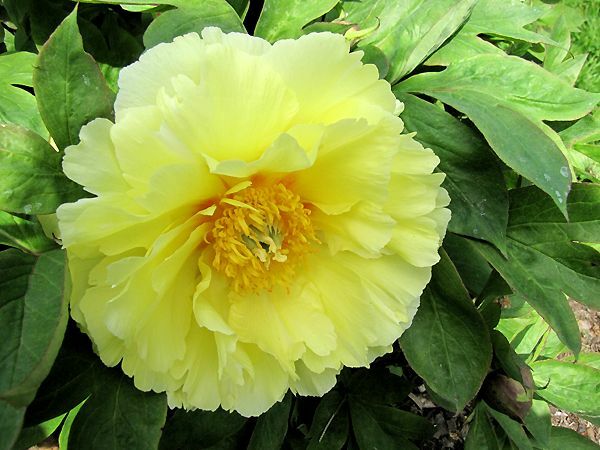 This Itoh hybrid, 'Golden Emperor,' first introduced in the U.S. in 1974 and one of the very first intersectional peonies, was simply stunning. Schedel is also home to a few Bristlecone Pine trees, thought to be the oldest living organism on the earth. 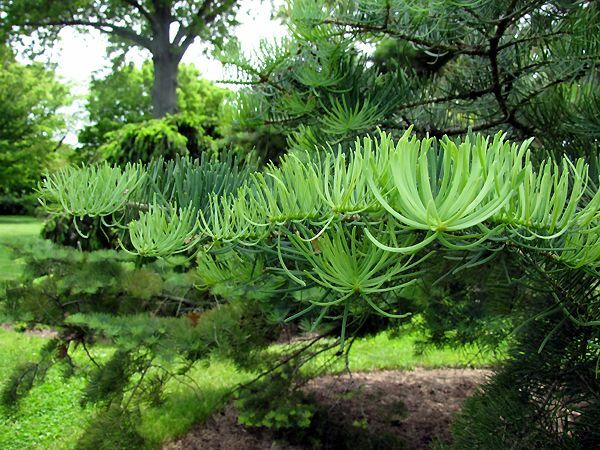 Being an arboretum, there are many different kinds of trees, most all of them labeled, situated throughout the 17-acre property. 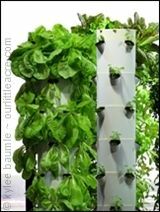 There are always some plants for sale at unbeatable prices. 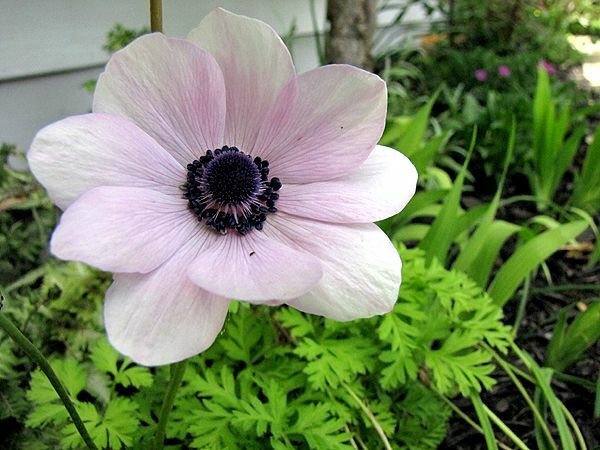 I brought home two large pots of an autumn anemone for three dollars each. 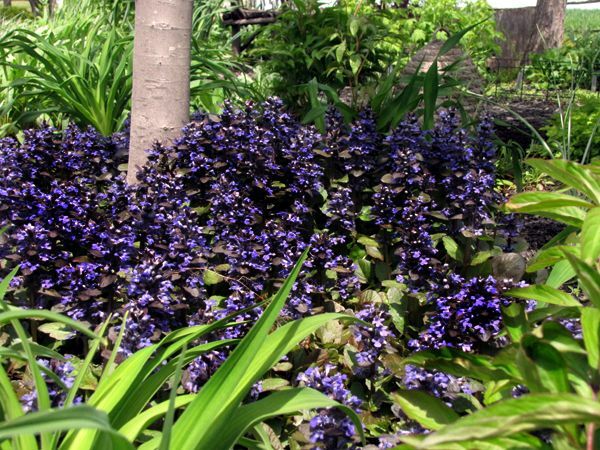 I tried to talk the Head Gardener, Susan, out of some of their Korean violets (Viola koreana 'Syletta'), but she smiled sweetly and shook her head no. Maybe some other time I'll get lucky! 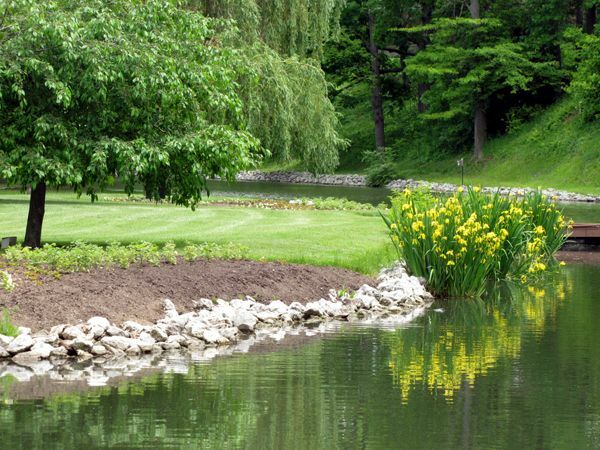 The gardens and arboretum are located at 19255 W. Portage River South Road, Elmore, OH 43416. 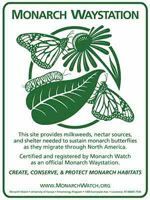 Visit their website for more information about the hours they are open to the public. 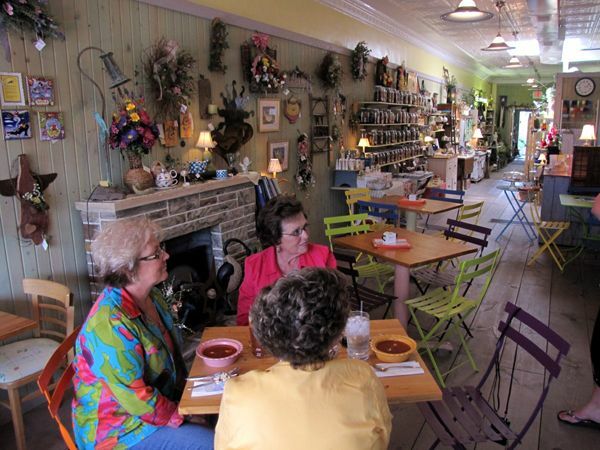 On Veronica's recommendation, we traveled a little ways up the road to Genoa, where we had a delicious lunch at Muggz's Tea Nook & Cafe. This is also home to The Most Unusual Garden & Gift Shop. There were many wonderful items for sale throughout the store/tea room and I couldn't resist a ceramic hanging bird bath. I also don't think I'll be able to eat Campbell's® Tomato Soup ever again. Maybe I can make something resembling the outstanding and exceptional Tomato-Basil soup I had there with tomatoes from my own garden! 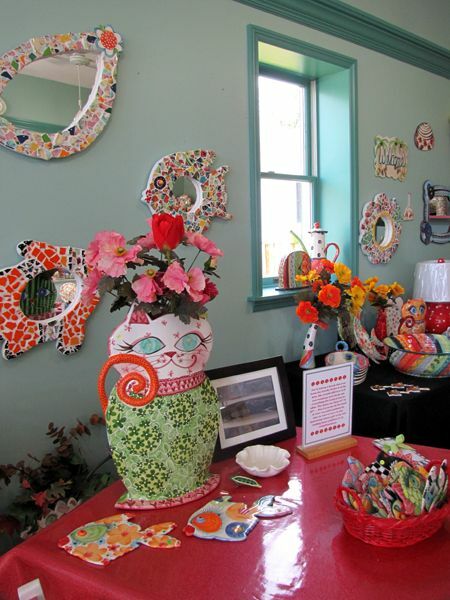 About a block away, we paid a visit to Packer Creek Pottery, the home of Majolica pottery by Jan Pugh. What gorgeous, creative, and whimsical things we found there! No purchases, but we all wanted to. 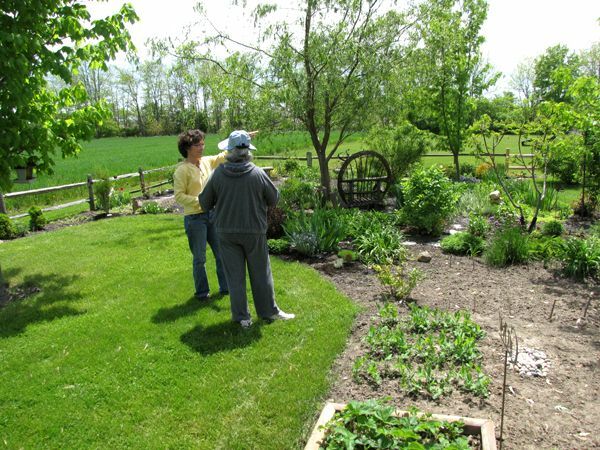 One more stop before home was at Hoen Greenhouse & Garden Center, located in greater metropolitan Toledo. What a zoo! They were having a special sale that started at 6:00 and we arrived just in time to pick a few things out, then put them back when we saw the line winding from the front to the back of the large greenhouse and only two cash registers. We'll have to visit at another time when we're in the area. Nice things though, and I hated putting back the Campanula glomerata and Epimedium 'Lilafee' that I'd picked out for purchase. We finally made it home around 8:00, exhausted, but with great memories of our Road Trip to Cleveland - 2009 version. 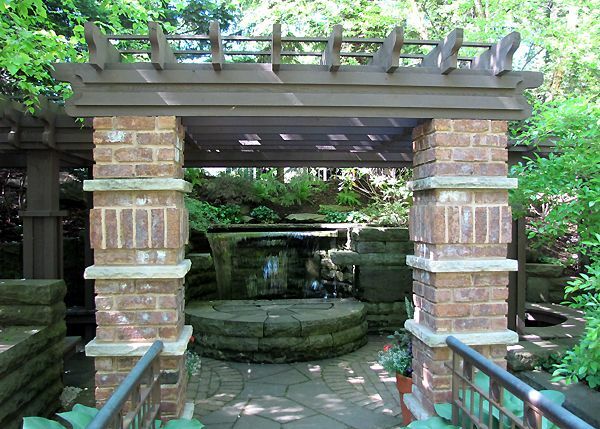 Our first visit to Schedel Arboretum & Gardens in 2007 can be found here. Mom and her friends were going to Cleveland and one of the friends couldn't go. She asked me if I wanted to go, and since Mom has great friends and I know they always have a good time, of course I said yes. 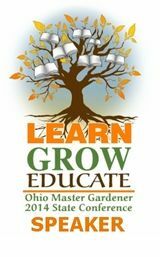 We were headed to the Cleveland Botanical Gardens for the flower show that's held there every two years, and since we'd be staying overnight, we planned some other activities as well. 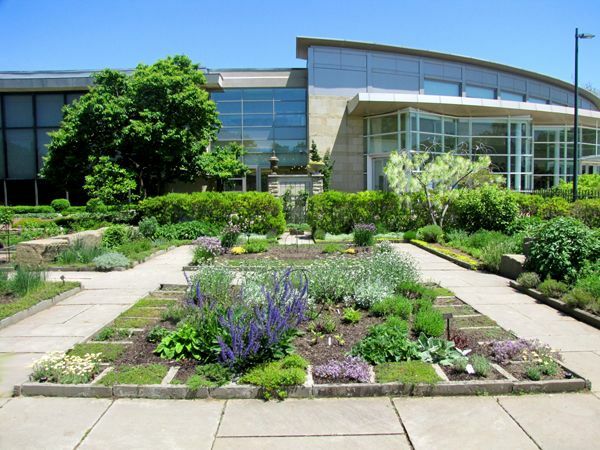 Cleveland Botanical Garden Flower Show 2009 has been postponed. Please check back in early 2010 for updates. What?!?!? I guess if you don't live in the Cleveland area, you might not get the memo. A quick call to Mom, a little discussion, and the trip was still on. 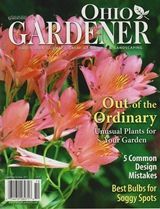 The gardens are always a good time - flower show or no flower show - and we were looking forward to visiting Petitti's Garden Center and Schedel Arboretum and Gardens on Day Two. 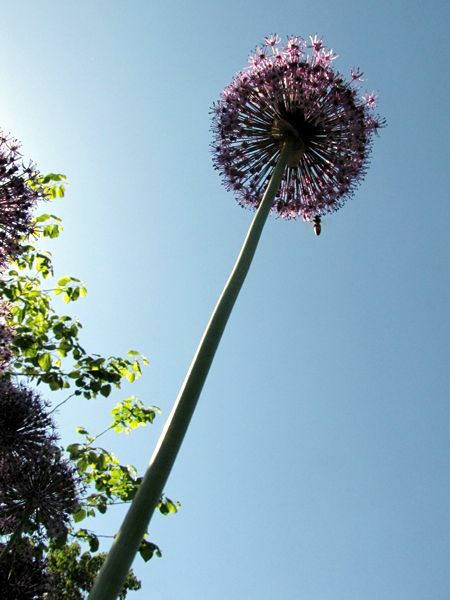 The alliums were in full bloom, in three colors - purple, magenta, and white. The white ones were stunning, when contrasted with surrounding foliage. The bees were loving them as much as we did. 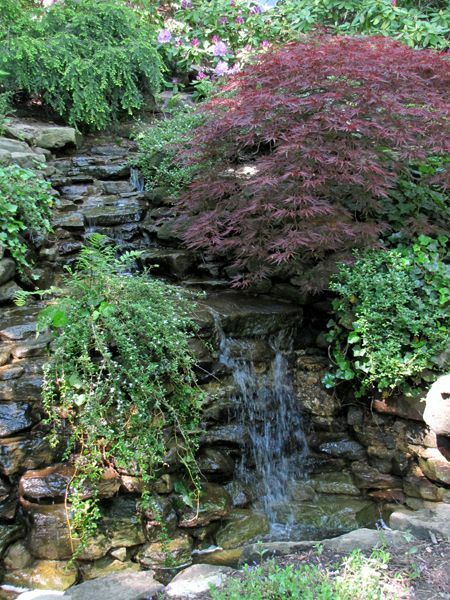 One of the great things about CBG, or any botanical gardens for that matter, is that not only are the colorful blooms outstanding, but the textures and colors of the foliage don't have to take a back seat to anything. When the foliage textures and colors work in combination with those of the blooms, the visual effect is stunning. CBG's design staff is brilliant. 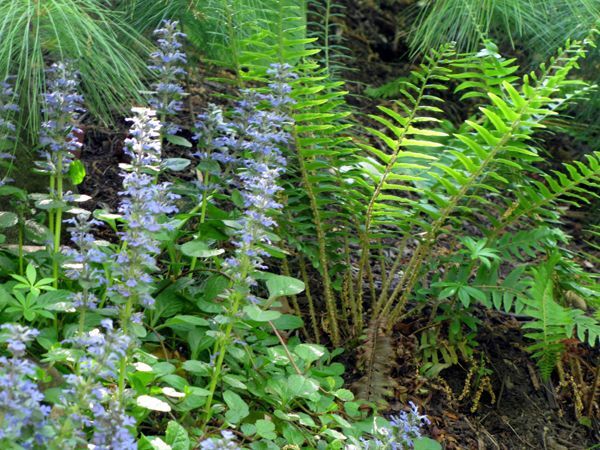 Salvia echoes the ferns nicely. 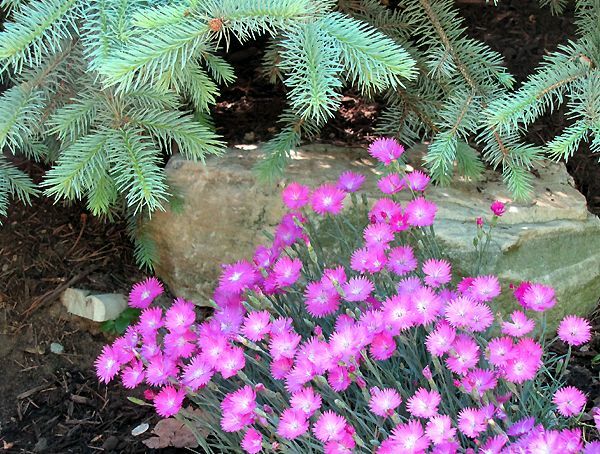 The pink blooms of the 'Firewitch' Dianthus spark up the glaucous foliage of itself and the spruce above it. The last time we visited Cleveland Botanical Gardens for the flower show was in May 2007, and the theme that year was "Rhythm and Hues." Several of the displays became semi-permanent, remaining until the next flower show, such as the "Opera Hortensia" shown below. This one was tiered like an amphitheater. 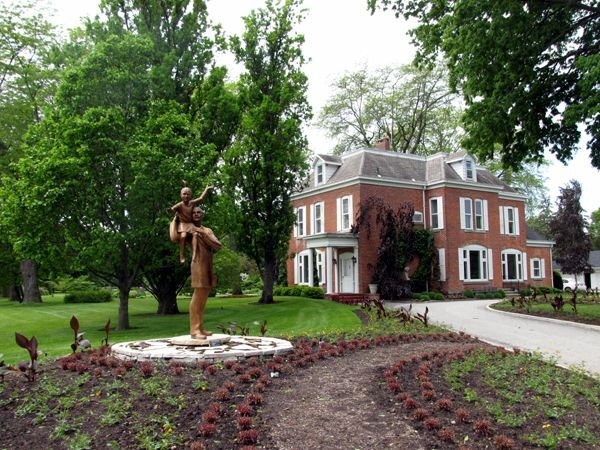 If you look closely (click on the photo to enlarge it), you'll notice the shrubs that are planted at an angle. I would never have thought to do that, and the effect is lyrical. 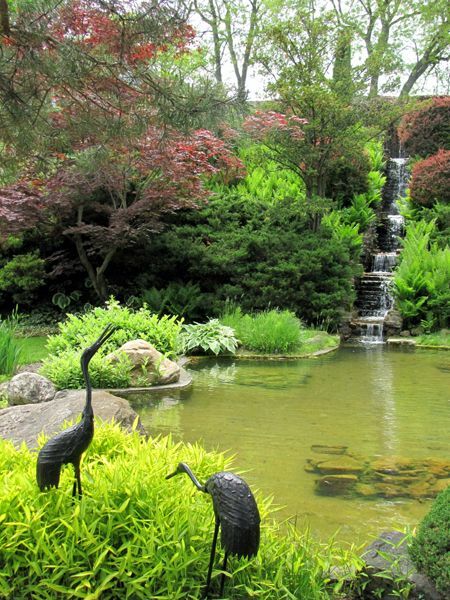 By far, my favorite part of the gardens is the Japanese Garden. 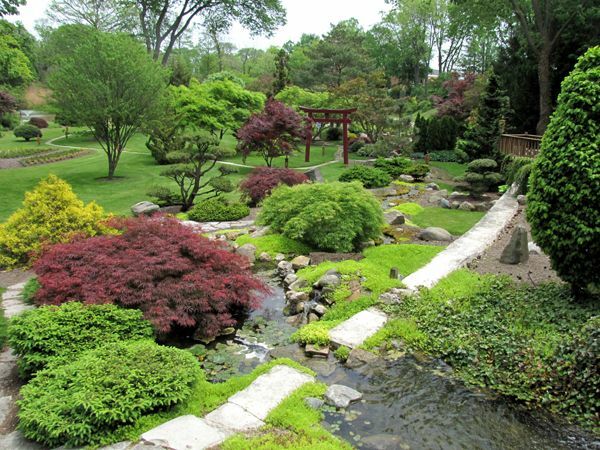 The Japanese Maples, the asian structures, the waterfalls, the wooded setting...it's all perfect for reflection and calming the soul. 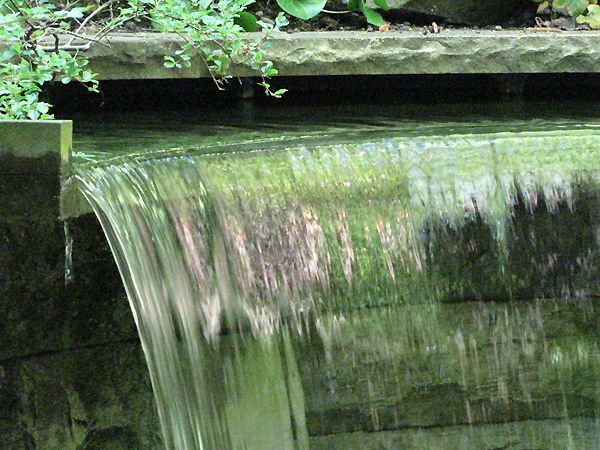 Waterfall detail in the Japanese Garden. 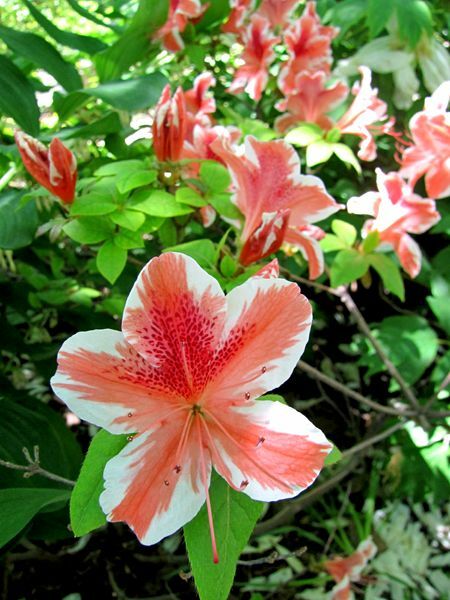 The azaleas were in bloom and as usually happens when I see a beautiful display of them, I want to go home and plant more than I care to kill. 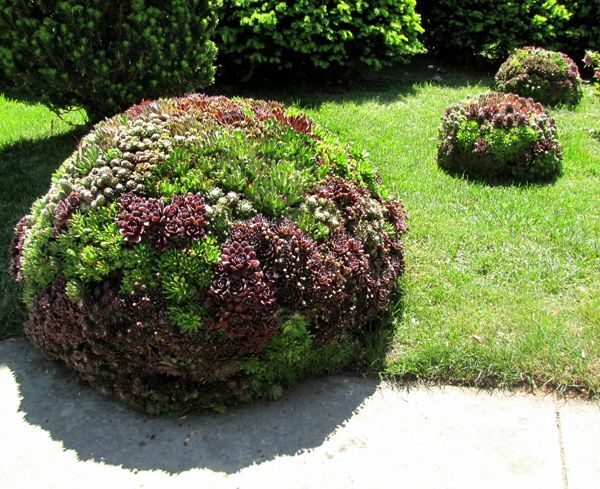 Yes, I've planted them and killed them, and except for one that is barely existing, I'll have to admire them in gardens such as these. We'd spent so much time wending our way through the rest of the gardens that we didn't allow enough time to do the Glass House justice before they closed at 5:00. 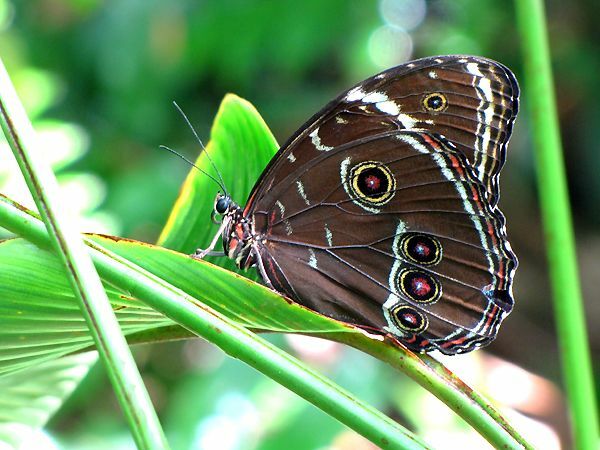 We had just enough time to run through quickly and ooh and ahh over the butterflies. 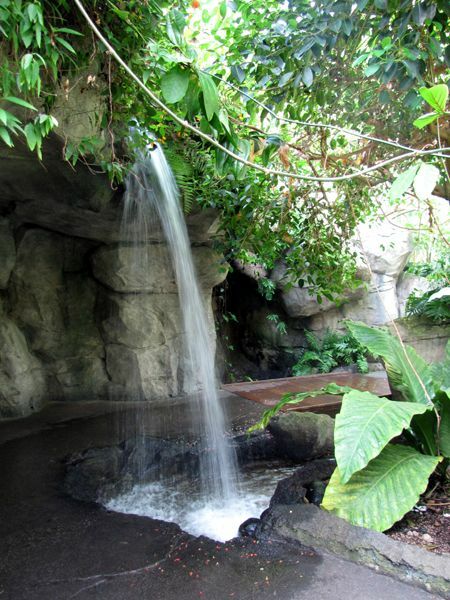 The waterfall is visually refreshing, as well as physically, because you can walk behind it and enjoy the fine mist of its spray. 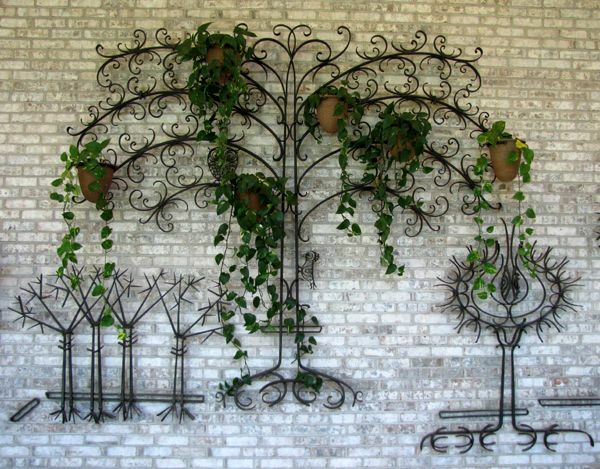 Inside the welcome center, the metal wall sculptures are planted with ivies and other live plants. We had a late lunch here, if you can call what I ate, lunch. I had the most delicious "brownie" in all the history of mankind. Imagine the best pecan pie you've ever eaten, in portable form. I'd just about give my right arm for the recipe. Since we had to be "swept" from the grounds at closing, we couldn't make a return visit to their fabulous gift shop and I had to leave the green t-shirt I wanted (Eat. Sleep. Garden.). I suppose I can live without it. Either that, or I'll just have to go back. When Lisa of Greenbow and her husband were visiting here on Sunday, the guys mentioned that they'd seen a bluebird. I've only ever seen a bluebird one other time in my entire life and that was about three years ago, while working in the vegetable garden. When they casually and unexcitedly stated they'd seen one, I almost didn't believe them. Last night, while Romie and I were out working in the yard, we saw a bluebird fluttering at the opening of the bluebird house we'd put up when we saw that first one years ago. Romie kept an eye on him while I ran to the house for my camera. He was still there when I returned and I snapped a couple of nice photos of him. We had another bluebird house that my dad had made, but we'd not put it up yet, because we weren't sure where to locate it. Having a bluebird right before our eyes forced the decision and we immediately hung it at the far end of the grape arbor. This morning, as I was eating my bagel and doing my morning walk-through back in Max's Garden, I kept my eye out for the bluebirds. In a matter of minutes, there he was, and his mate, too! They both entered the older house, then came out a few minutes later. 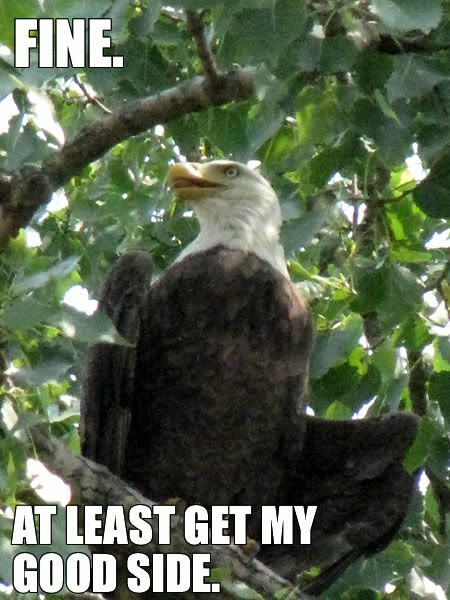 Not long after, the male flew over to the grape arbor and entered the house we'd just put up. So it's looking rather favorable that we'll have baby bluebirds one day! 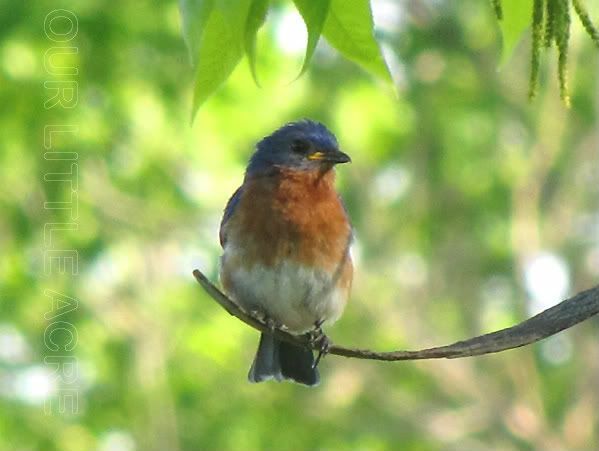 Though we haven't followed all the rules for luring bluebirds to our property, I wanted to share a few of them, just in case you're hoping for bluebirds, too. 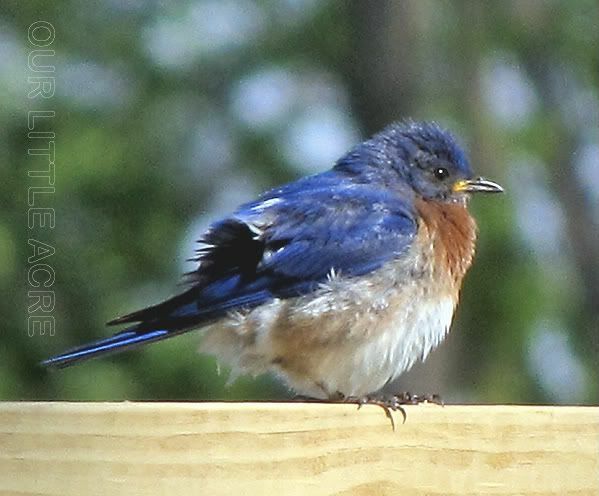 Bluebirds like open spaces, so place your bluebird house away from trees and vegetation as much as possible. Place the house no more that 4-5 feet off the ground. Face the opening of the house towards the east or south, so that it's warmed by the sun. The opening needs to be away from prevailing winds, so if the wind is generally from the west where you live, face the house east. 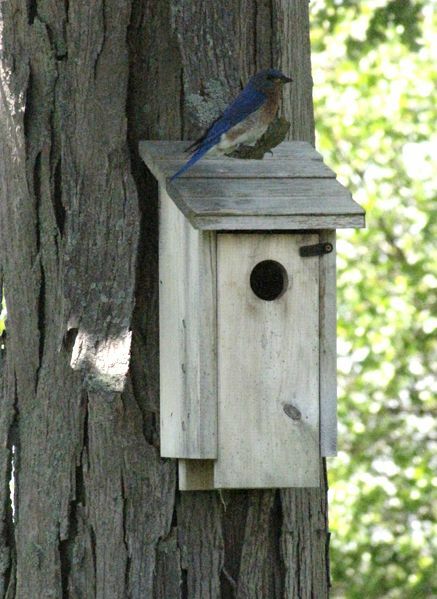 Other birds, such as wrens and swallows, also like to use bluebird houses, so erecting two houses increases your chances of having a bluebird take up residence. I'd been waiting for this day for several weeks, looking forward to a very special visitor that I'd only known via her garden blog. 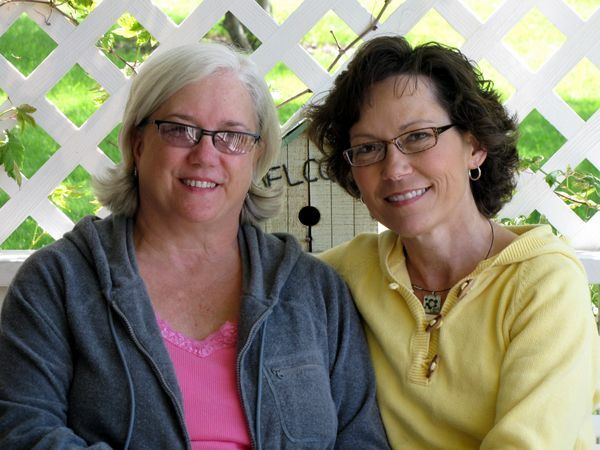 She and her husband had been vacationing in Michigan and they made a slight detour on the way home to southwestern Indiana on Sunday so we could meet and "talk shop" for a little bit. 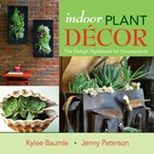 Those of you who have gotten to know Lisa through her Greenbow gardening blog, know what a treat she is. Let me tell you here and now that she is just like you thought. Down to earth and full of joy! 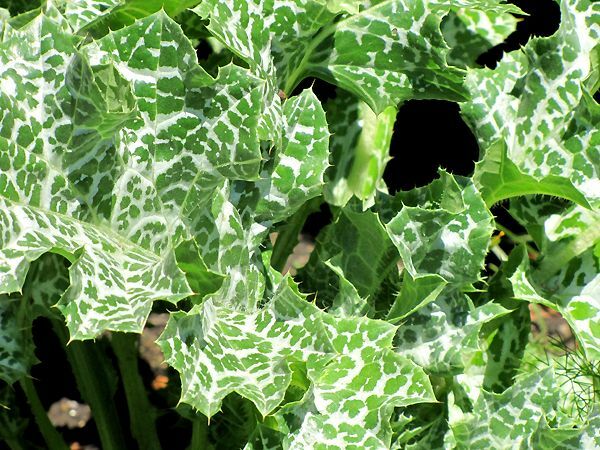 We talked our way through the garden, discussing how she could grow this and I couldn't, how she couldn't grow that and I could, and how both of us had problems with variegated Jacob's Ladder. 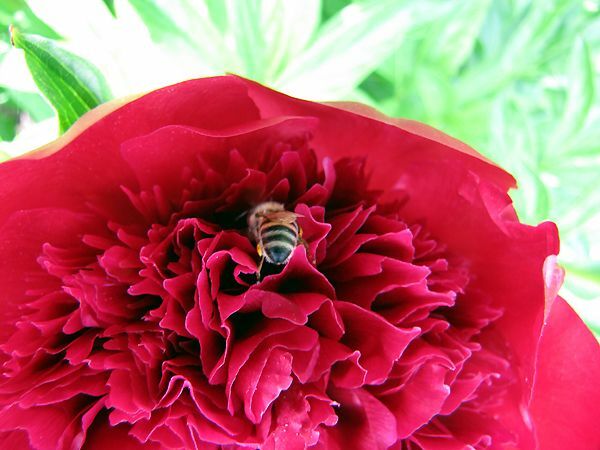 The tree peony 'Sahohime' was nearly in full bloom (42 of them!) just in time for Lisa's visit. Before we knew it, three hours had passed and our guests had to get moving, because home was more than five hours away. I sent Lisa home with some pink Lily-of-the-Valley and Lady's Mantle that my mom had shared with me from her garden and from here at Our Little Acre, several bulbs of the ugliest daffodil I've ever grown. Oops, I told Lisa I was going to stop talking that way about them since she likes them. Maybe they'll look better in her garden. 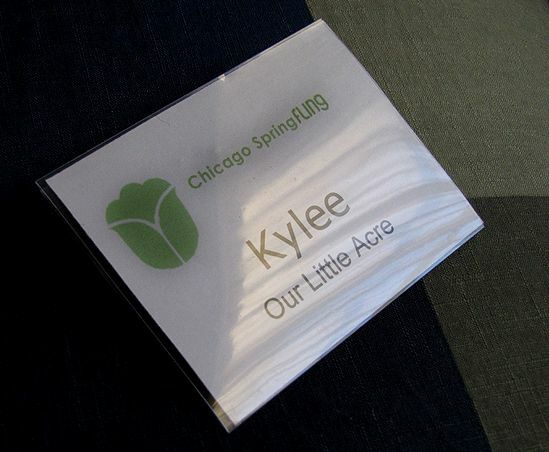 Lisa and I are both going to be attending Spring Fling in Chicago in two weeks, so this meeting only served to give us both one more thing to look forward to - a familiar face! Lisa, thank you for taking the time and going out of your way to visit us here at Our Little Acre. The time we spent with you and your husband was a delight and I look forward to seeing you again at Spring Fling! 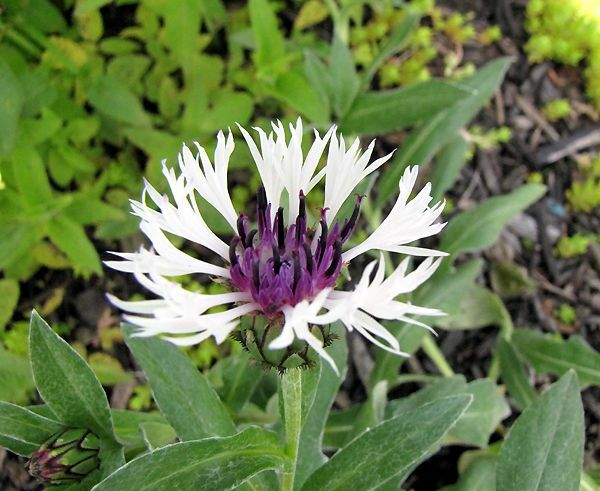 It's Garden Bloggers' Bloom Day for May and we're transitioning into summer. How did that happen so quickly? The garden is bursting at the seams with color. Not quite like it does in June and July, but it's kind of amazing how many things are blooming when you consider how comparatively few we had last month. 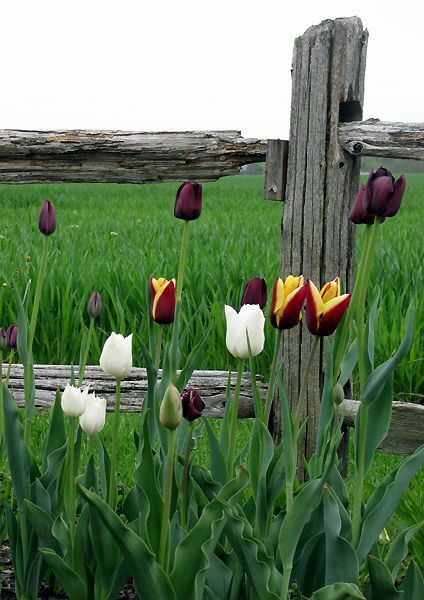 Yes, there are still some tulips looking good in the garden. These were a purple and white mix I'd purchased at Lowe's last fall. 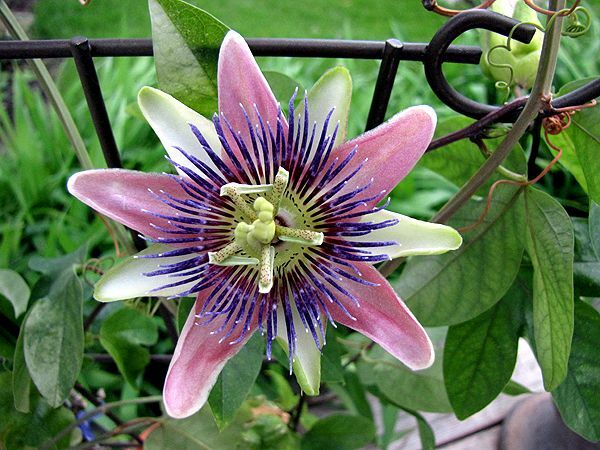 This Passiflora (cultivar unknown) spent the winter in the basement greenhouse, doing nothing but losing its leaves. Then about a month or so ago, it started putting out leaves again. How did it know that spring was going on outside, when it was inside? 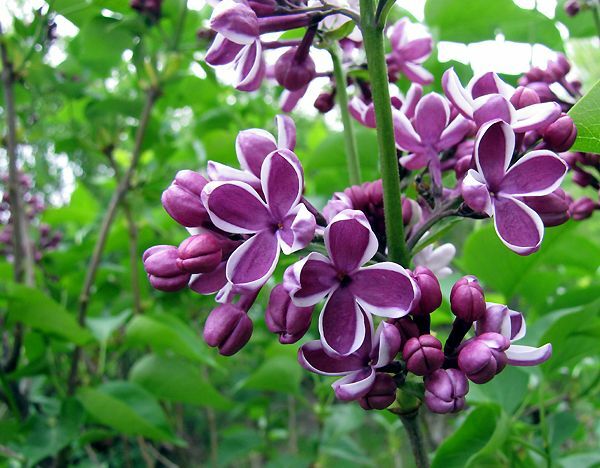 May is Lilac season and my very favorite is this Syringa vulgaris "Sensation." I've got two of them, by accident. I'd gotten one in 2007, purchased after its bloom period was over. 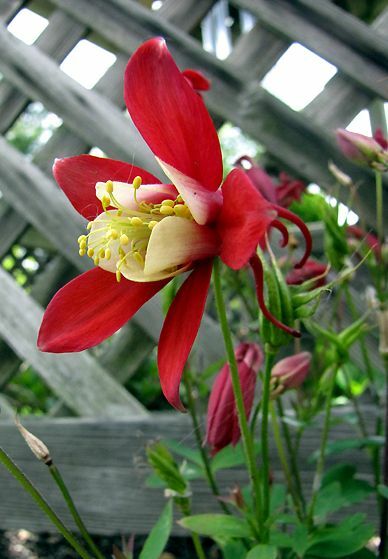 In 2008, I purchased another one and planted it before bloom time. When they both bloomed, I realized they were the same. Sometimes accidents turn out well! 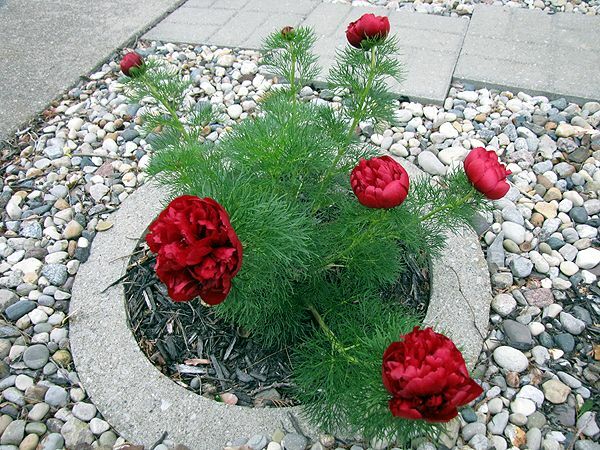 Most of my peonies don't bloom until the first of June, but the Fern Leaf 'Rubra Flora Plena' (Paeonia tenufolia) starts off peony season in May. 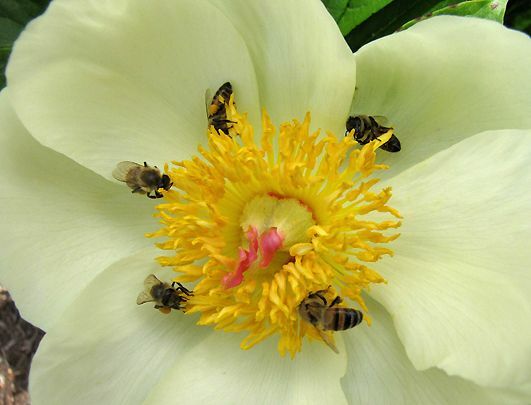 Next will come the tree peonies (Paeonia suffruticosa), then the herbaceous (Paeonia lactiflora). 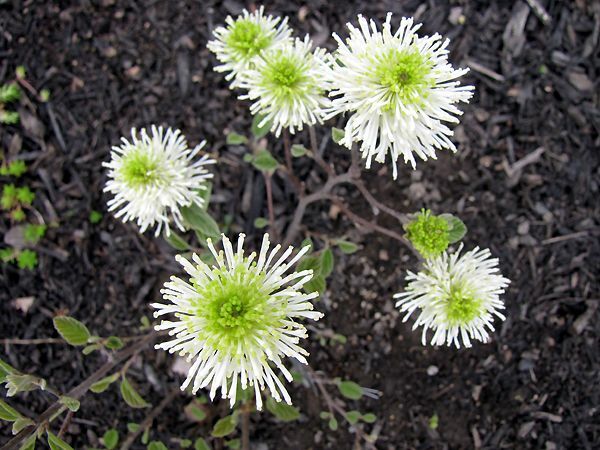 The quirky, fluffy blooms of the Dwarf Fothergilla (Fothergilla gardenii). 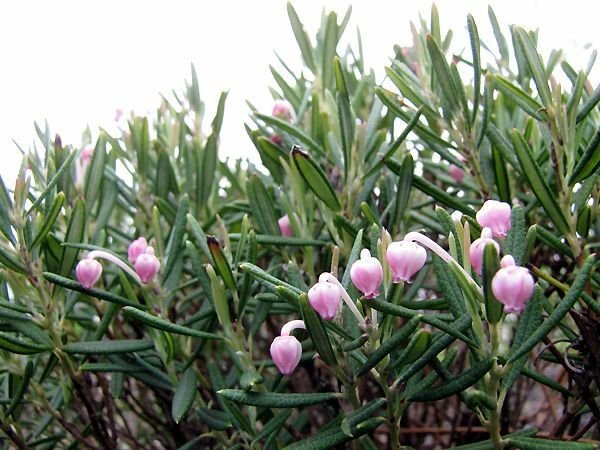 I have never had the best of luck growing herbal rosemary, but this bog rosemary (Andromeda polifolia) does just fine for me. 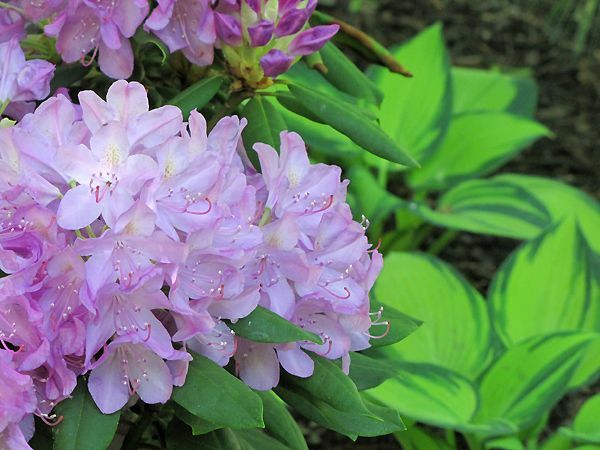 It's actually a heath, hardy to zone 3 and as you might guess, likes moist conditions. 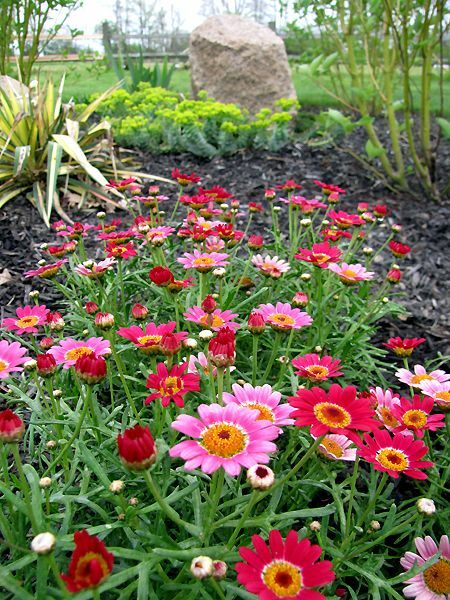 My favorite of the annuals I'm growing this year is this Marguerite Daisy (Argyranthemum frutescens) in Madeira™ cherry shades. They're very much an attention-getter. 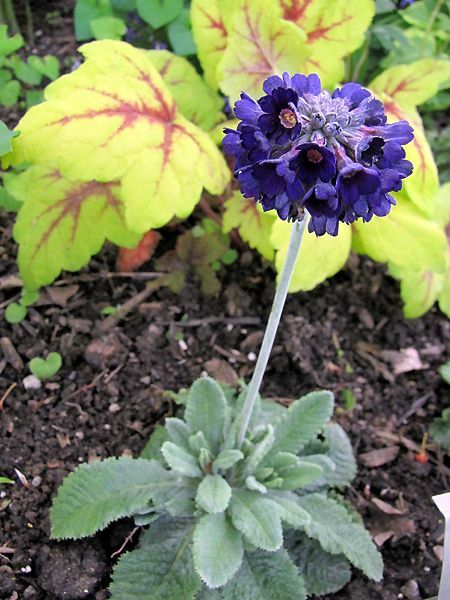 I learned about this Chinese Primrose (Primula capitata) from my mom and promptly went to Laurie's Naturescapes to get some for my own garden. I love the glaucous foliage and the lollipop flower form. It's hardy to zone 5. 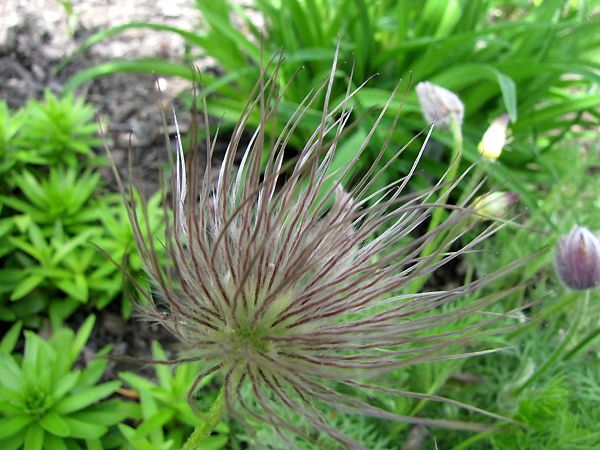 The Pasque flower (Pulsatilla vulgaris) has been blooming in purple and burgundy for a month and is still going strong, but now it has some of its characteristic fluffy seed heads. 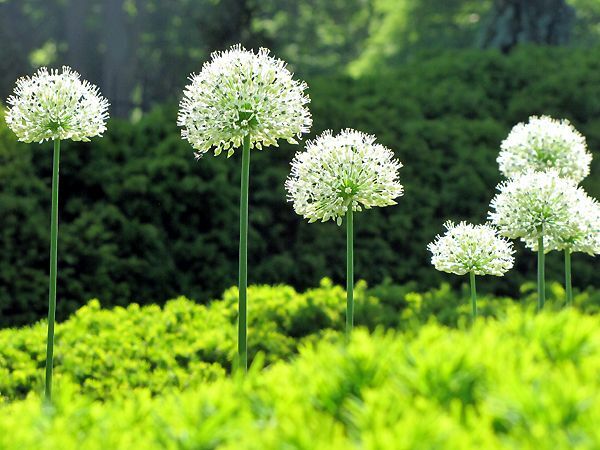 I like these as much as the blooms. 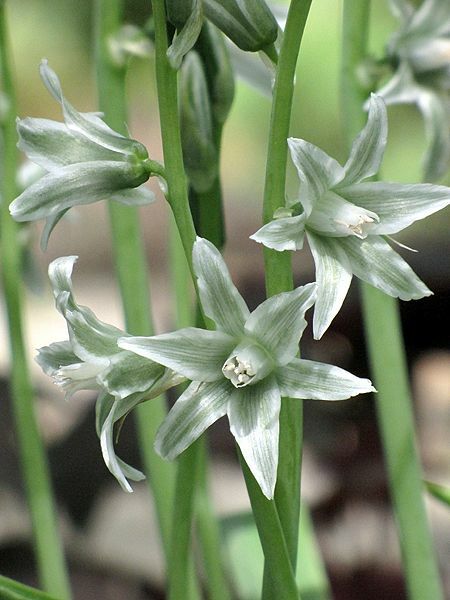 Known as Silver Bells or Star of Nature (Ornithogalum nutans), this late spring bulb flowers with gray-green blooms. 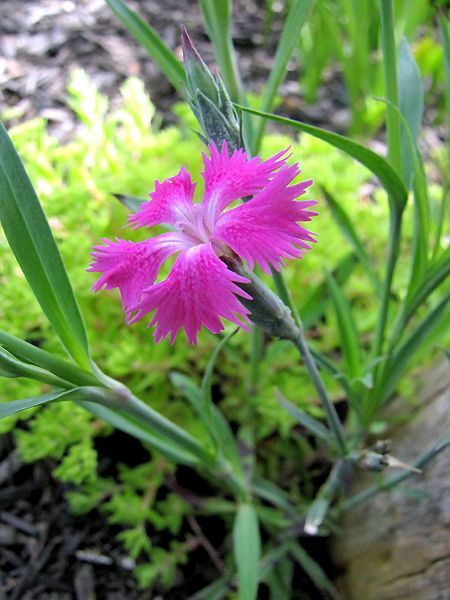 Dianthus superbus 'Kawara Mix' self-seeds and its first bloom this season is from one of the results of self-seeding from last year, nearly two feet from the original clump. I planted Anemone coronaria 'Harmony Mix' last year because the red, blue and white were so pretty. I knew they could survive our winters here in zone 5, but I wasn't counting on it. The white one made it, but the blue and red ones didn't. I purchased a new red one and blue one a few weeks ago, to give them another try. 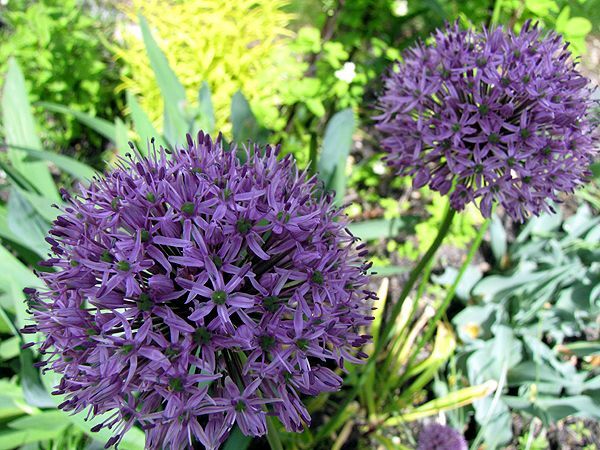 Allium 'Gladiator' is in its third year here. 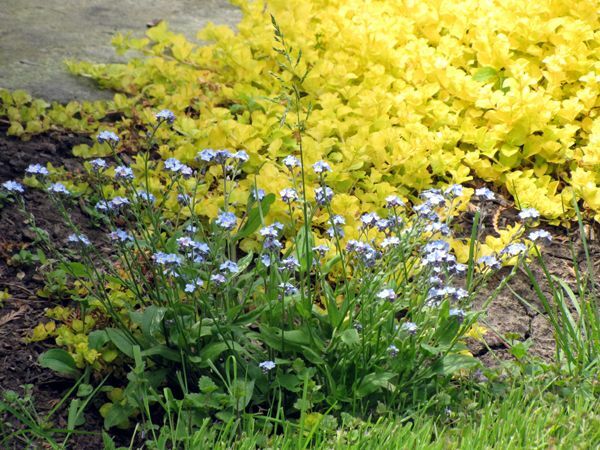 While it can spread vigorously, this Ajuga really glows in the spring garden. 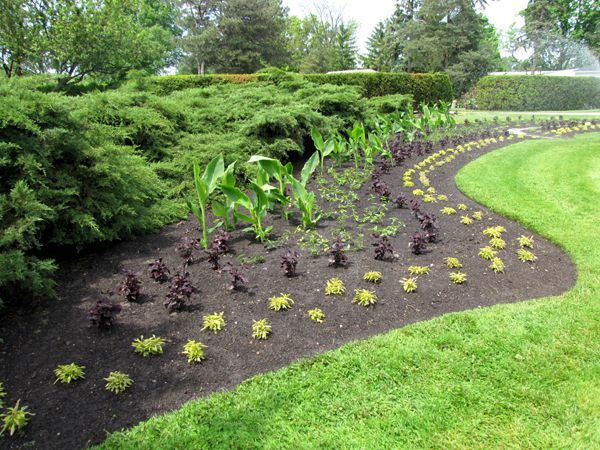 Its runners and resulting new plants are easy enough to tear out if they get out of bounds. There are many other things blooming, too numerous to mention. 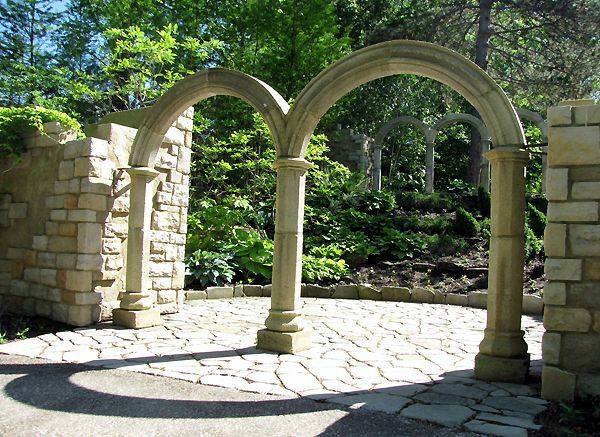 Let's just say that when I'm doing a walkthrough in the gardens, I'm humming, "Happy days are here again!" 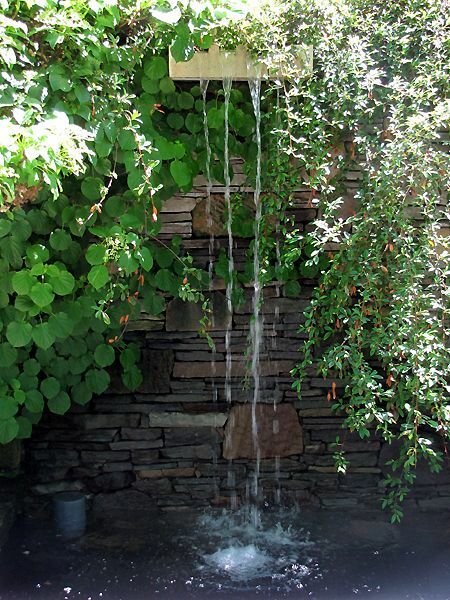 Garden Bloggers' Bloom Day is hosted each month by Carol of May Dreams Gardens. 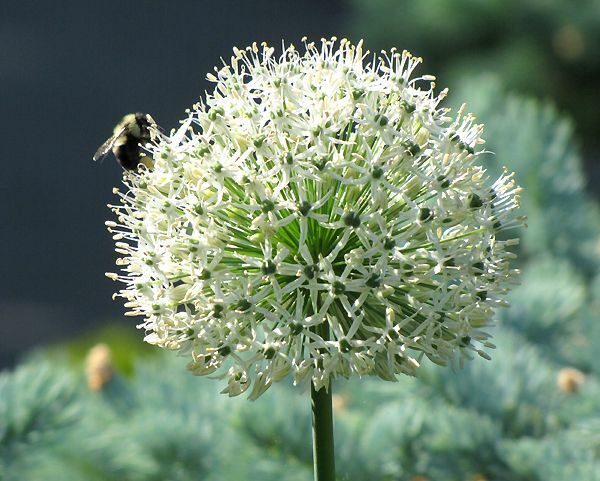 Visit her website to see who else participates by posting photos of what's blooming on the 15th of the month in their gardens.